Why choose Doncaster Maintenance? 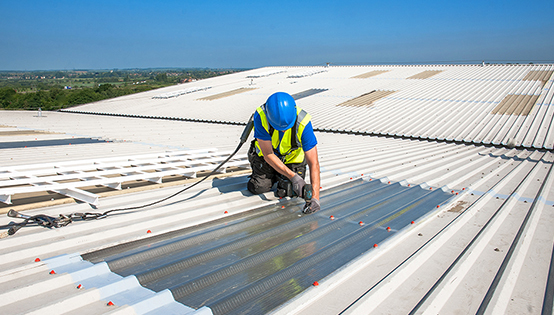 Our business offers an extensive range of commercial roof maintenance and repair services. 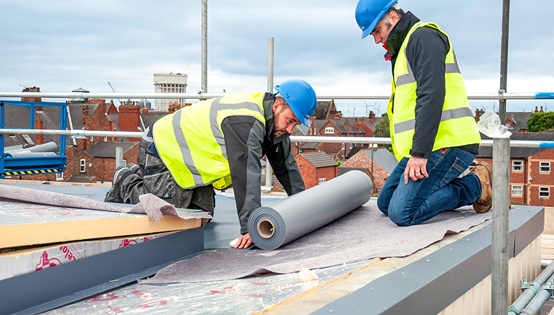 With over 20 years experience in the industry, we have developed and matured our business to a level were we can confidently say we are one of the nations leading commercial roof specialists. What we do, isn’t just about the services we offer, but it is also about how we work with you, our environmental and sustainability approaches and how we continuously develop and improve our company to bring you the industries leading standards. You can rest assured that you and your business will receive the highest level of customer care from start to finish. We all know that over time, general wear and tear and the harsh British weather conditions that your roof is exposed to on a daily basis will eventually take its toll. This is where we come in to keep your roof in pristine condition. 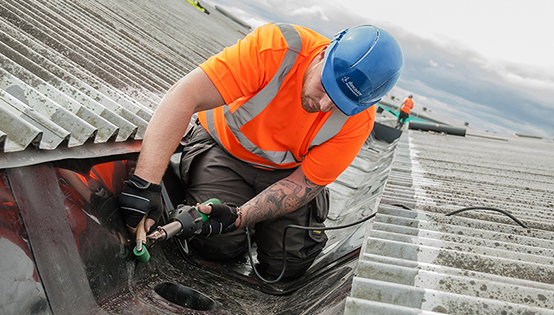 With over 20 years hands on experience, we are one of the UK’s leading commercial roof maintenance companies. We provide essential roof maintenance to large supermarket chains, schools, leisure centres, factories, universities and many more commercial properties. With our extensive experience in commercial gutter cleaning we know that you expect the absolute best and this is exactly what we provide. We are the industries leading gutter cleaning service in the UK. Gutters are part of an intricate system and each one has to be treated individually to achieve optimum cleanliness. We have maintained and cleaned a wide range of commercial gutters nationally including schools, distribution facilities, factories, shopping centres and hospitals – each being different but require a professional and organised approach. With over 20 years experience in commercial gutter maintenance, we are the number one choice in the industry and offer an extensive range of gutter maintenance services throughout the UK. At Doncaster Maintenance we are committed to provide you with the best service possible. We believe that our approach to commercial gutter maintenance is one of the best as we work side by side with you to make sure that we have everything covered, we believe communication is essential for a successful service, we make sure you are on board with every process we complete. 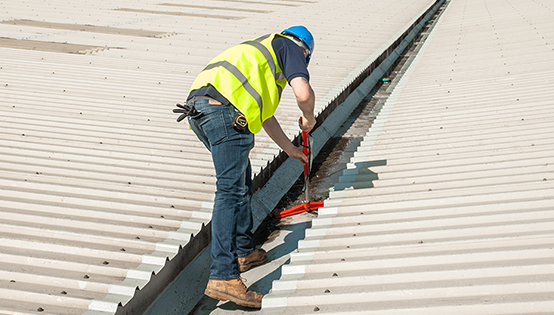 In addition to our gutter maintenance and roof maintenance services that we offer, we are also leading providers in the UK for commercial gutter lining. Our expert team have over 20 years of first hand experience which they use everyday to make sure they deliver you the best results. We understand commercial gutters inside & out and how day-to-day wear and tear can effect them. We offer a diverse range of commercial gutter lining services to make sure all of your needs are covered. You may start to notice light being prevented from entering the building or maybe a brown or beige discolouration to the panel, the roof light can also loosen which in turn causes leaks and sometimes dripping water. It seems like a daunting task to start with but don’t worry, we cover the whole of the UK offering roof light replacement and roof light repairs. 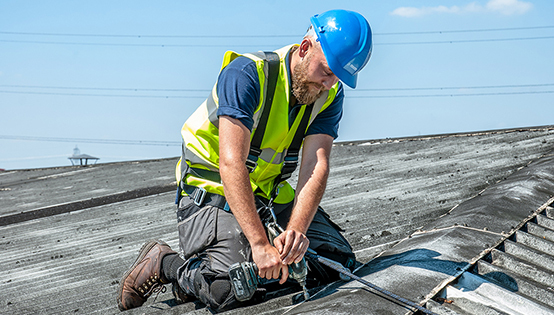 With over 20 years industry experience, our commercial roof light replacement service is delivered with excellent customer service, superior workmanship and our expert knowledge which stands us ahead of our competitors. First impressions count and the exterior of your building creates a long lasting impression for anyone entering your business for the first time. 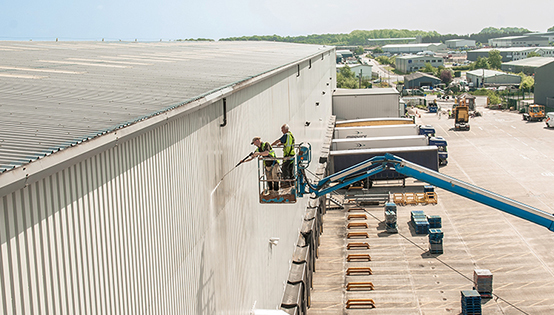 We are one of the UK’s leading commercial cladding cleaning companies. With our in-depth industry knowledge that we have gained over the past 20 years, we are your first point of call for your commercial cladding cleaning requirements. If your cladding is not maintained on a regular basis it will become rusty or dirty, we can help you maintain your cladding to ensure that lasting first impression is a good one. Does your commercial flat roof need repairing urgently? We are industry-leading experts in flat roof repairs & maintenance, we have gained over 20 years experience in this field. 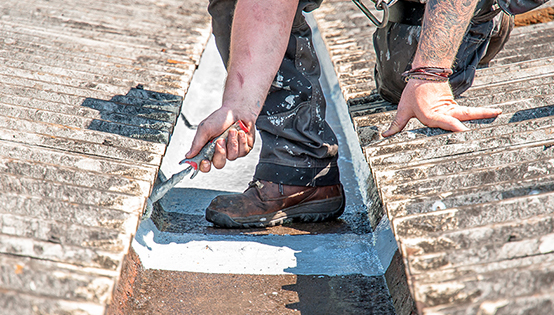 Commercial flat roofing repairs require a high level of knowledge and skills, we understand that your business can not be disrupted while we carry out the repairs, we work closely with you to ensure that the work is carried out with minimal disruption to your business and to your staff. 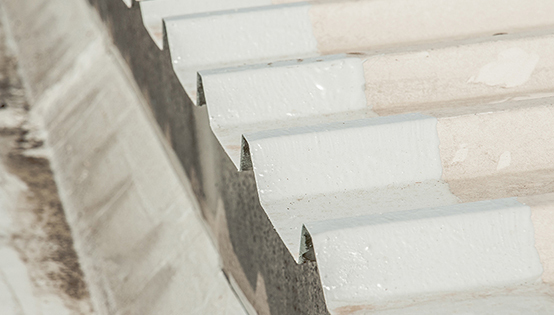 If you have a metal cladded roof, it is inevitable that over time it will become corroded. We are confident that our cut edge corrosion treatment will help prevent corrosion and damage. Managing a corroded roof is a difficult task for someone with little industry experience and skills. However we have vast experience in cut edge corrosion treatments, enabling us to tackle any project that were are presented with. I was amazed at the level of detail Doncaster Maintenance went into when taking control of the roof on our project. Health and Safety is clearly high up their agenda. Their team were professional throughout the entire project and clearly well trained. After appointing DML on our Next Home project they were quick to get the project underway. Their team were super fast to respond to any of our requests, very impressed with the project management and quality of the workmanship. Doncaster Maintenance were appointed to service over 200 of our Morrisons stores and distribution centres, the works generally cover reactive roof maintenance and pre-planned maintenance, they are quick to respond to our requests, a really great team that have lots of experience and clearly know their work. Let us see what we can do for you. Start your project with a FREE quote!